Suntrek offers all types of solar water heating systems that we can custom-design for the needs of any residential, commercial, or government application. Each integrates the best solar technology with modern plumbing systems to efficiently heat your water with little or no need for gas or electricity. With a Suntrek solar water heating system, you can reduce your impact on the environment and save money …all this without changing your daily routine! The ICS is a simple system that requires no pumps or controls for operation. It combines a water storage tank and the solar collector in one unit. Sunlight heats the water in the ICS throughout the day. When you draw hot water, your normal household water pressure pushes heated water from the ICS into your standard electric or gas heater. Because the water was already heated by the sun, the gas burner or electric heating element will not need to activate. It simply stores and delivers the solar heated water (and serves as a backup heating source). Suntrek’s standard size system can store 40 gallons of solar hot water when combined with your conventional water heater. 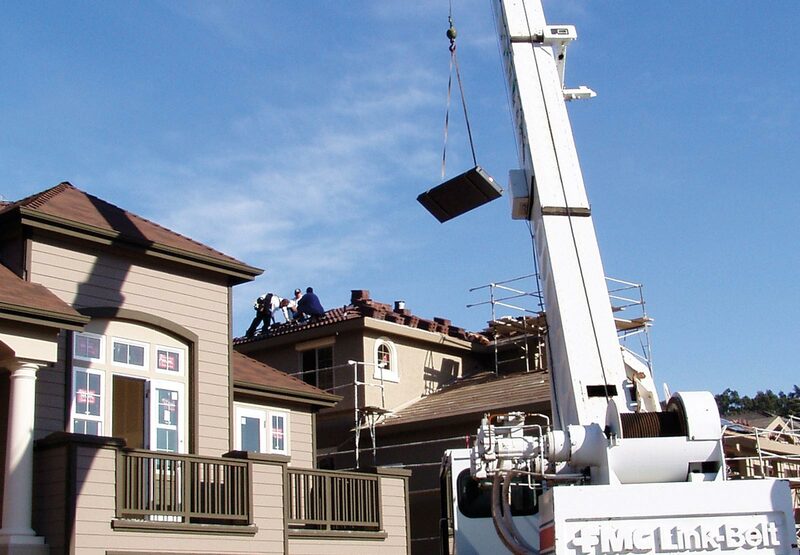 ICS units are excellent choices for mild climates that do not experience freeze conditions. Thermosiphon Systems collect heat from the sun and transfer it to your water through a natural process. Independent of pumps, sensors, or any moving parts these systems rely on the simple principle that hot water rises and cold water sinks. The collector absorbs the sun’s rays and heats the cold fluid inside. As the fluid heats, it rises to the top of the collector and into the insulated, stainless steel tank. Here, it displaces cooler fluid which flows in to the bottom of the collector where the process is repeated. 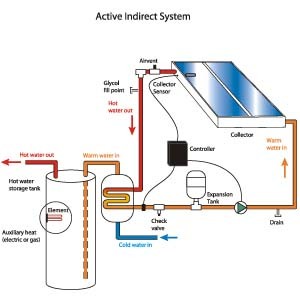 Active solar water heaters use pumps, often powered by a solar electric module, to circulate water or heat-transfer fluid through heat-absorbing solar thermal collectors. Open loop active systems heat the water supply directly. 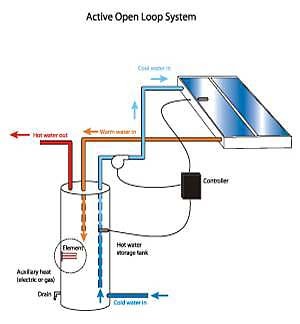 Circulation of water through the solar collector is accomplished via a small circulation pump (often powered by a solar electric module) mounted on a solar storage tank. The solar pump is activated by a differential thermostat controller (solar sensor) that senses when heat is available in the solar collectors. The solar-heated water is stored in a storage tank that connects to the existing gas or electric water heater. As hot water is used, the preheated water is pumped into the conventional heater. The solar collectors and feed lines are protected from freezing by automatic drain down controls which allows the water in the pipes and panels to fall safely back out of the solar collectors and feed pipes. Closed loop active systems employ heat exchangers that circulate heat exchange fluids through the panels and feed pipes. The term “closed-loop” refers to the solar exchange fluid being closed-off from the external atmosphere or isolated from the potable water. 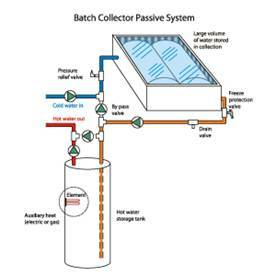 In a closed-loop system the heated solar fluid is pumped through the solar collectors. The solar fluid flows through a copper or stainless steel heat exchanger located near the solar storage tank. The heat from the fluid then transfers to the potable water within the solar storage tank. Another small circulator pump may be used to circulate the water through the potable side of the heat exchanger.